Unfortunately, the game runs with the graphics quality set to low, which means you're missing out on a lot. No high quality textures. No reflections in car mirrors. 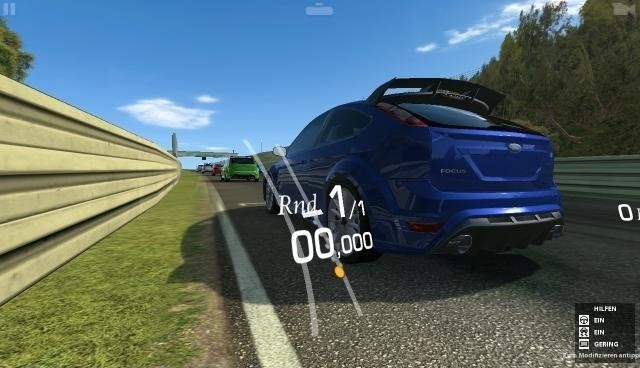 Basically, you're missing the "Real" in Real Racing 3. 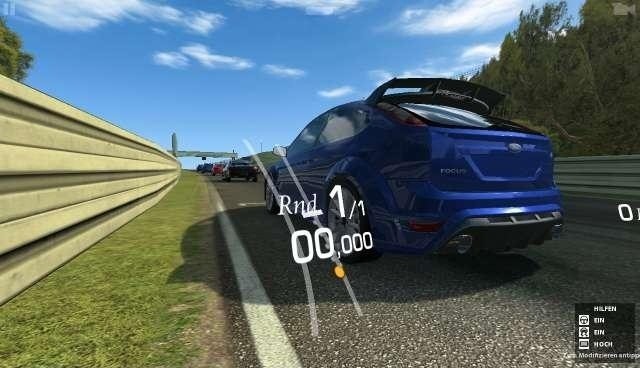 So, here I'm going to show you how to quickly and easily mod Real Racing 3 to use higher-quality graphics on your Nexus 7 and get the game to look as it was intended! 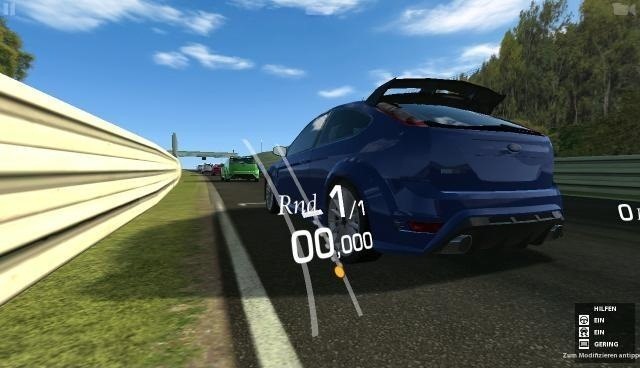 For this mod, you'll just need to have Real Racing 3 installed on your Nexus 7, and that's it. If you want a superior gaming experience, you'll want to overclock your Nexus 7, but that's optional. 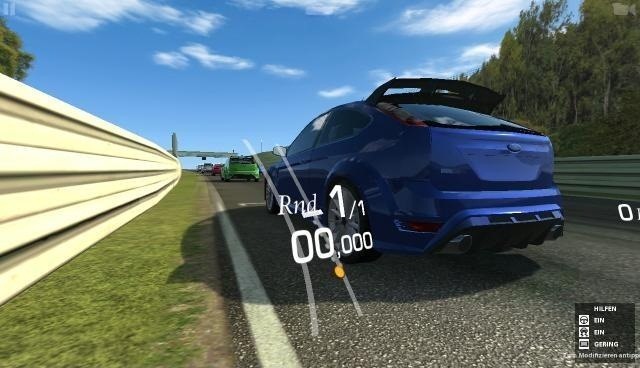 With the Real Racing 3 game already loaded on your Nexus 7, you can now download the free Real Racing 3 Graphics (RR3 GFX) app from the Play Store. This is all we'll need to hack the game into using higher quality graphics. 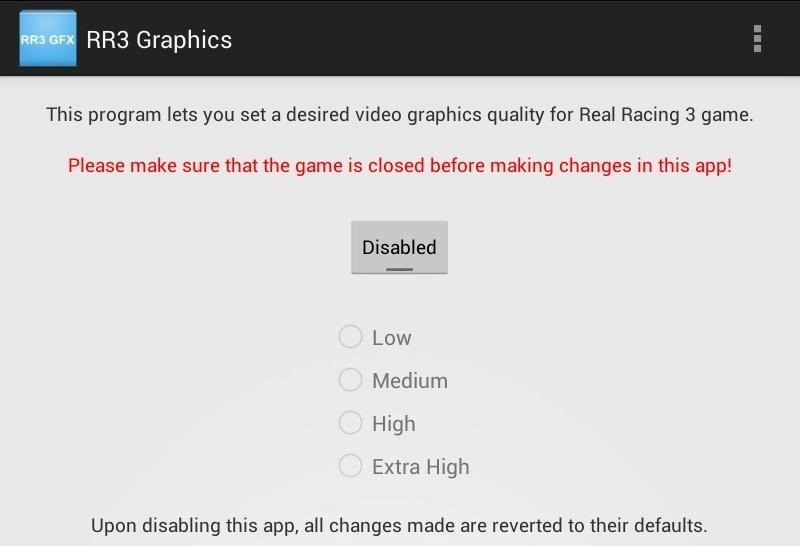 Launch the modding app, but make sure Real Racing 3 itself is not currently running. Your Nexus 7 wasn't meant to run the game in such high detail. If you're on stock and not modded, expect slowdowns in-game. Modded Nexus 7s can run the game better on HQ settings by overclocking their CPU and GPU. Take a look at my previous guide on overclocking your Nexus 7 tablet for insane speed and performance. Doing so will help with the slowdowns. Give it a try and GAME ON! Good info for Stock Users .